Intense pressure from Israel and the US last week on members of the United Nations Security Council narrowly averted Washington’s embarrassment at being forced to veto a Palestinian resolution to end the occupation. The Palestinians’ failure to get the necessary votes saved the White House’s blushes but at a cost: the claim that the US can oversee a peace process promising as its outcome a Palestinian state is simply no longer credible. Looming is the post-peace process era. Its advent appears to have been marked by Palestinian leader Mahmoud Abbas’ decision in the immediate wake of the Security Council vote to join the International Criminal Court (ICC) in the Hague. Israel furiously opposes the move, justifiably fearful that its politicians, military commanders and settler-leaders may now be put on trial for war crimes. But the Palestinian leadership has long been apprehensive about such a move too. Abbas has spent years postponing the decision to sign the Rome Statute, which paves the way to the ICC. Israeli statements at the weekend implied that Abbas’ reticence signalled a concern that he might expose himself to war crimes charges as well. Israel had “quite a bit of ammunition” against him and his Palestinian Authority, said one official menacingly. In truth, the Palestinian president has other, more pressing concerns that delayed a decision to move to the legal battlefield of the Hague. The first is the severe retaliation the Palestinians can now expect from the US and, even more so, from Israel. Israeli prime minister Benjamin Netanyahu began by halting the transfer of tax revenues Israel collects on the Palestinians’ behalf. Israel is also preparing to lobby the US Congress to enforce legislation that would halt aid to the PA in the event of it launching an ICC action. More punishments are due to be announced. In selecting the “nuclear option”, as Israeli analysts characterised it, Abbas has also left himself empty-handed in future diplomatic confrontations – and for no obvious immediate gain. War crimes allegations may take years to reach the court and, even then, be stymied by pressures the US will bring to bear in the Hague, just as it currently does in the Security Council. But most problematic of all, as Abbas knows well, a decision to pursue war crimes trials against Israel threatens the PA’s very existence. 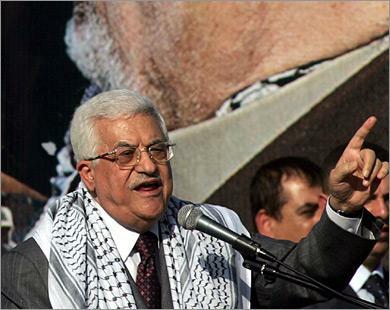 The PA was the offspring of the two-decade-old Oslo accords, which invested it with two temporary functions. It was supposed to maintain stability in the parts of the occupied territories it governed while serving as Israel’s interlocutor for the five years of negotiations that were supposed to lead towards Palestinian statehood. It has excelled in both roles. Under Abbas, the PA has been doggedly faithful to the idea of the peace process, even as Netanyahu spurned meaningful talks at every turn. Meanwhile, the PA’s security forces – in coordination with Israel’s – have kept the West Bank remarkably quiet even as Israel expanded and accelerated its settlement programme. But as Avigdor Lieberman, Israel’s foreign minister, argued on Sunday, the Palestinians’ move to the Hague court is further proof that the Oslo accords have expired. Without a peace process, or any Israeli commitment to Palestinian statehood, why would the PA continue to cooperate on security matters with Israel, let alone consider such coordination “sacred”, as Abbas termed it last year? If the accords are seen to be dead, the impression can only grow that the PA is nothing more than Israel’s security contractor, assisting in its own people’s oppression. Until now, that reality had been partially obscured by Abbas’ image as the Palestinian peace-maker. But if the process is indeed over, the contradictions in the PA’s role will be dramatically on show. Right now, Palestinian security forces are committed to coordinating with the very people the PA is intending to indict as war criminals. And by maintaining calm in the West Bank, the PA is furthering the building of the very settlements the Rome Statute defines as a war crime. Abbas is in a bind. If he ends coordination and goes on the offensive, why would Israel allow the PA to continue functioning? But if his security forces continue to collaborate with Israel, how can he retain credibility with his people? This leaves the Palestinian leader with only two credible strategic options – aside from dissolving the PA himself. 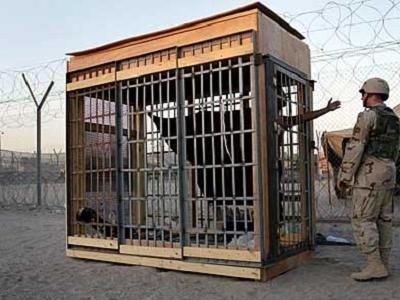 The first is to adopt a sophisticated model of armed resistance, though the PA has specifically rejected this in the past and is poorly equipped for it compared with militant factions like Hamas. The other is to accept that Palestinian statehood is a lost cause and adopt a new kind of struggle, one for equal civil rights in a single state. But the PA’s rationale and bureaucratic structure preclude that. It is in no position to lead a popular struggle. That is why Abbas will continue pursuing a Palestinian state through the UN, as he promised again at the weekend, undeterred by the realisation that it is unlikely ever to come to fruition. The door to the Hague may be open, but Abbas is in no hurry to venture through it. So that’s lead us to one conclusion, that the PA is placing US-Israel priority ahead of its own people and furthering the expansion of Settlements, land confiscation and war crime against the Palestinian people. Yes, PA has a vital role but not for the Palestinians or for the establishment of Palestinian Sate?